Little did GCU’s Robotics Club members know what competing at a recent event would lead to. 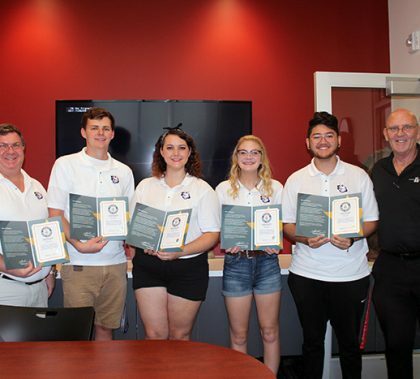 Not only did the Thunderbots bring home the Judges’ Award from the VEX Robotics World Championship in the spring in Louisville, Ky., they also received certificates of participation from Guinness World Records. The event recently was certified as the world’s largest robotics competition. GCU is always evolving, with new buildings rising up and offices and colleges moving to new spaces. All the change makes for an interesting first-day of class. 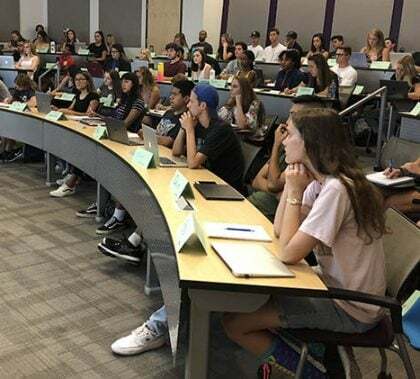 The GCU News team fanned out on Monday to talk to students, professors and even the Success Patrol and Academic Career Excellence Centers, who there there to make sure students found their classrooms. In the Technology Building, students played games via the glow of computers powered by tons of RAM and sharp graphics. Meanwhile, across campus, gaming took on a different look at the Modern Board Gamers Guild’s Game Night, where old-school tabletop board games was the call of the day. Either way, students networked and connected with each other during Welcome Week through high-tech and old-school gaming. 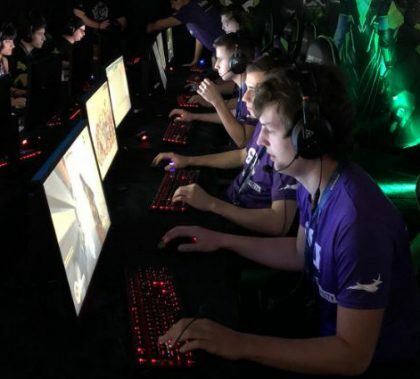 GCU eSports is roaring into its new clubhouse this week after winning a 16-team, invitation only Overwatch tournament. Club President Justen Johns says the new facility on the second floor of the Technology Building is three times the size of the old Thunder Alley room. The club is hosting an internet cafe during welcome week so interested students can come see what all the hype is about. “I think the bond that we have is more than just the game. We’ve grown as friends and we are probably going to be friends for the rest of our lives, hopefully, so it was really luck that this club brought us together,” Johns said. 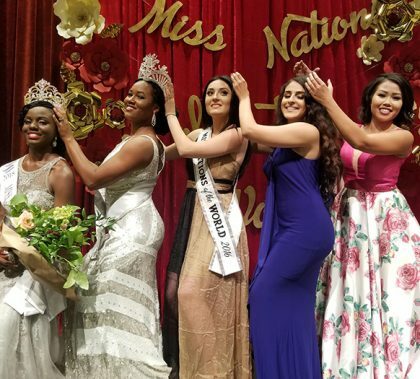 It was just a few months ago that Grand Canyon University Honors College biology student Adesuwa Osayaren won the title of Miss Africa Arizona. Now she can tout one more title — she was crowned the Miss Nations of the World queen. 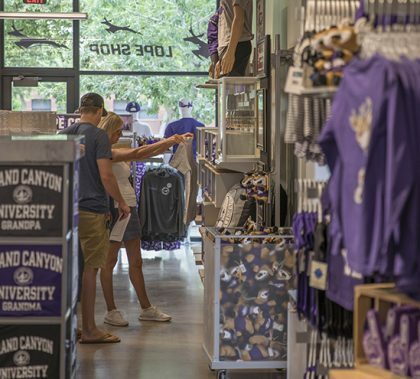 You wouldn’t normally expect to find onesies, high-heeled shoes or Burt’s Bees at a college retail store, but you will find those things peppered among the notebooks, binders and a sea of purple T-shirts at the new Lope Shop. The store, which touts Champion and Nike concept areas, a tech area, boutique and more, opened Wednesday at its new 9,500-square-foot space on the Promenade. With its floor-to-ceiling glass display windows and modern, open feel, it’s a far cry different from its much smaller space — only one-fifth as big — on Lopes Way. 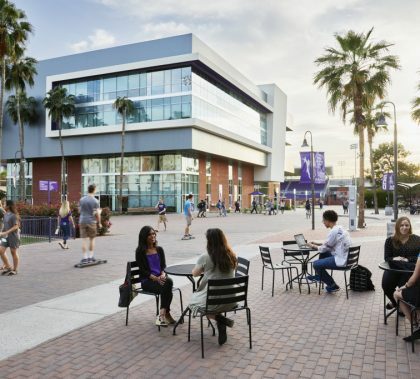 For the second consecutive year, GCU made the top 10 of Niche’s Best College Campuses list, scoring a No. 7 ranking (up from No. 8 last year) for its college life — and the accolades don’t end there. The University also is No. 6 on the Best Dorms in America list and No. 7 in Best Online Colleges. 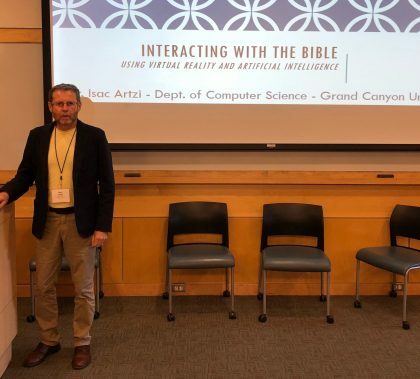 With computing jobs in such high demand, it’s hard to find and keep skilled computer science teachers, said Corinne Araza, GCU’s Director of STEM Outreach and Program Development. 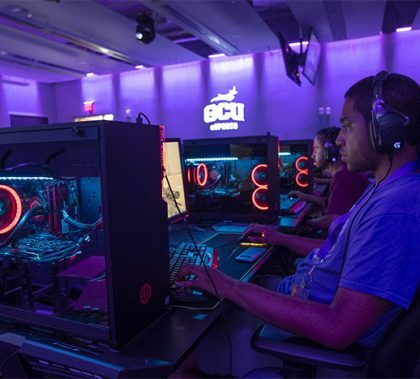 It’s why the recent Code.org courses on the GCU campus were so important. 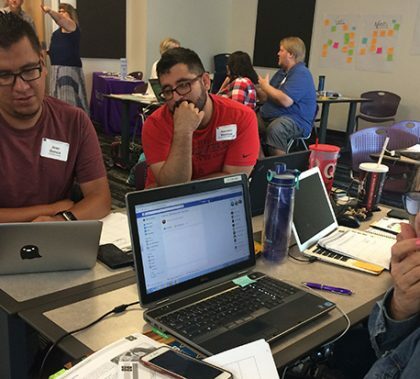 About 90 educators from around Arizona gave up part of their summer to enrich their computer science knowledge, thanks to a partnership between GCU, Code.org and Science Foundation Arizona.